Looking for new coupons? Check out today’s top printable coupons! 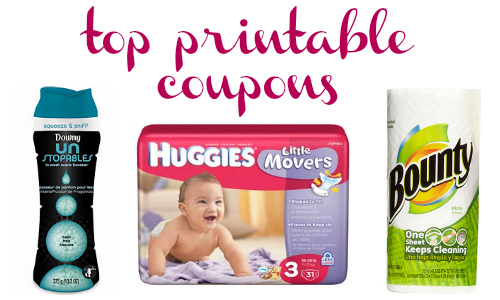 You can save with 22 new coupons including Downy Unstopables, Huggies, Bounty and more. Want some ideas on how to use your coupons? Head over to the new coupons page for ideas.